A partially buried unexploded ordnance shell fired by Northern Sudanese forces, situated close to a Chevron oil drilling site near Thiangrial village. Morton, Chris. 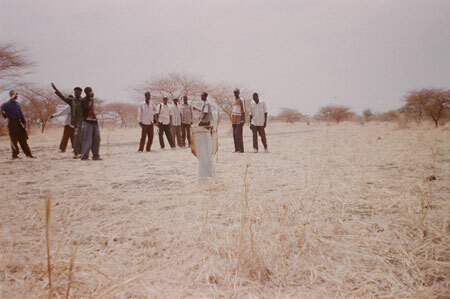 "Unexploded shell" Southern Sudan Project (in development). 03 Jan. 2006. Pitt Rivers Museum. <http://southernsudan.prm.ox.ac.uk/details/2007.137.1/>.